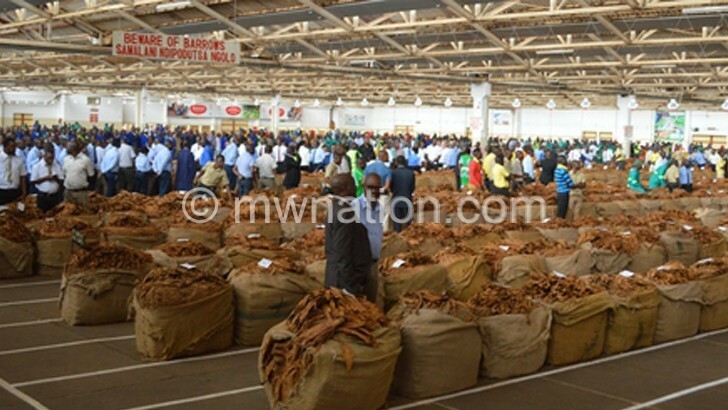 Some tobacco growers say despite JTI Leaf Malawi buying 49 000 kilogrammes (kg) of contracted leaf, the move will have no impact as their tobacco has already lost value. Two weeks ago, JTI Malawi stopped buying tobacco—the country’s main cash crop which contributes 60 percent of foreign exchange earnings—from its contracted growers after reportedly meeting quota with their growers. Later, JTI committed to buy the remaining tobacco depending on the contracts they signed with the growers and after reconciling the figures of how much they bought in conjunction with Tobacco Control Commission (TCC). In a statement yesterday, JTI claimed that tobacco growers produced in excess of 470 000 kg of their contracted volumes. “Following disputes over the purchase of this excess tobacco, it has been agreed and confirmed by TCC that only 49 000 kg or 10 percent of this tobacco should be considered for purchase by JTI,” reads the statement in part. The tobacco was bought at 80 cents (K586) per kg for the lowest quality leaf with the highest quality leaf bought at $2.30 (about K1 600) per kg. In an interview after visiting Lilongwe Floors on Tuesday, Minister of Agriculture, Irrigation and Water Development Joseph Mwanamvekha said he was happy JTI has bought only the volumes they agreed with their contract farmers. “They have committed to buy only that tobacco which is on contract because they buy on IPS [Integrated Production System],” he said. Mwananvekha said the major problem facing the tobacco market in the country is the monopolistic nature of it with a few international buyers who decide on the prices. A contracted grower with JTI, Steven Shaba from Mipapa Club in Mzimba, said the two- week break has a huge impact on quality and pricing of the leaf. “I am from Mzimba and my tobacco was at Chinkhoma in Kasungu. Our tobacco was returned at Chinkhoma upon being told that JTI will no longer buy from us. We were then told to come here in Lilongwe where the tobacco has stayed for two weeks outside which means it has lost value because of various circumstances,” he said. 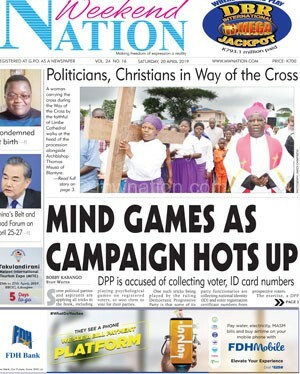 But JTI Malawi corporate affairs and communications director Limbani Kakhome on Tuesday said the issue was blown out of proportion, stressing that they were just following normal procedure after hitting their target. “This is a normal process we do every year. Our system is able to pick how much tobacco we contracted with the growers and how much needs to be brought. “Whenever we reach the amount we wanted, we tell TCC that we are winding up buying,” he said.